Outgoing Chinese Communist Party (CCP) Chairman Hu Jintao delivered a long speech to the 18th Party Congress that was published on Xinhua on November 17, 2012. A review of the text of his speech makes no specific mention of Tibet, but it does contain statements concerning ethnic regional autonomy and ethnic minority relations. Hu Jintao’s speech is full of impressive language about democratic values, rule of law, the supremacy of the Constitution, religious freedom, and human rights. (The full speech is available in English athttp://news.xinhuanet.com/english/special/18cpcnc/2012-11/17/c_131981259.htm). In practice the CCP implements none of these laudable principles. Likewise, we cannot take Hu’s words about regional ethnic autonomy and the rights of ethnic minorities at face value but must read between the lines. We should fully and faithfully implement the Party's policies concerning ethnic groups and uphold and improve the system of regional ethnic autonomy. This statement shows that China intends to continue its current policies of “regional ethnic autonomy” in areas like Tibet and Xinjiang/East Turkestan. Influenced by Leninism, China previously called this system “national regional autonomy”. After witnessing the break-up of the Soviet Union, the CCP realized that calling groups like Tibetans “nationalities” implied they had a right to self-determination, so they quietly switched to an “ethnicity” framework to make clear that there was no right to secession and that the CCP would always remain in charge. As we know from the uprising in Tibet in 2008, the protests in Xinjiang in 2009, the almost 100 self-immolations in Tibet since 2009, and the police-state imposed on Tibetan and Uighur areas, China’s ethnic regional autonomy policies have been an abysmal failure. This statement is interesting, however, in that it shows adherence to the present system of regional ethnic autonomy and a rejection of Zhu Weiqun’s (Vice-Director of the United Front Department) statements about abolishing the regional ethnic autonomy system and assimilating ethnic minorities into Chinese culture (see http://chinese-leaders.org/zhu-weiqun/). We should, keeping to the goal of all ethnic groups working together for common prosperity and development, conduct intensive education about ethnic unity and progress, speed up development of ethnic minority areas, and protect the legitimate rights and interests of ethnic minorities. We should consolidate and develop socialist ethnic relations of equality, unity, mutual assistance and harmony so that all ethnic groups in China will live and develop together in harmony. These two sentences are a signal that all ethnic minorities must be united behind the CCP and the Chinese Motherland and are prohibited in engaging any activities deemed to be separatist or against the “unity” of China. Calls for Tibetan independence, Tibetan freedom, and support for His Holiness the Dalai Lama are all considered “separatist” activity by the CCP and illegal under Chinese law. In addition, this statement only specifies protection for “legitimate rights and interests” of ethnic minorities. What “legitimate rights and interests” means, however, is determined by the CCP and not by Tibetans and Uighurs. Historically, the CCP has never considered genuine religious freedom or freedom of speech to be among the legitimate rights and interests of Tibetans and Uighurs, and certainly not rights like political freedom. The CCP views religion and speech as subservient to the interests of the CCP and the State. Moreover, when Hu says he wants all ethnic groups in China to live in “harmony,” he means he wants them all marching to the same beat and obedient to the Party. 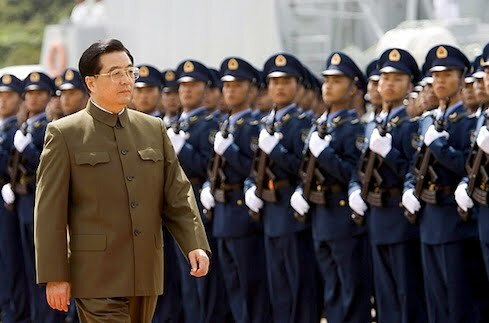 Hu Jintao’s version of harmony envisions no one stirring up trouble by demanding things like human rights and dignity. We should comprehensively implement the Party's basic policy on religion and fully leverage the positive role of religious figures and believers in promoting economic and social development. The CCP’s basic policy on religion is that religion is backward and nothing but superstition. While there is a belief among some Chinese officials that religion can be used to manage social tensions (ironically, this would see religion being used as an “opiate of the people”), even under this utilitarian view, religion is subservient to the needs of the State. The CCP views the religious beliefs of Tibetans to be a hindrance to their policies and plans for Tibet, in particular given the link between Tibetan Buddhism and Tibetan nationalism. The CCP sometimes gives the appearance that it respects religious freedom but in reality, the CCP policy aims to ensure that religion and religious believers are managed by the State, not something that should be allowed to flourish and develop on its own. In Tibet, the CCP has passed regulations and rules to control the recognition of tulkus, to manage the monasteries and nunneries, to limit the number of monks and nuns, to ban worship of His Holiness, to force monks and nuns to take “patriotic” tests on their political views, to control the movement of monks, and to prevent Tibetans in government service and schools from participating in religious activities. This shows the fundamental policy of CCP on religion is to limit and deny ethnic minorities genuine freedom of religion. The last part of Hu’s sentence (“fully leverage the positive role of religious figures and believers in promoting economic and social development”) shows China will continue its practice of trying to control Tibetans by controlling Tibetan religious leaders, including the Panchen Lama and other highly respected tulkus. The CCP knows that Tibetans are strongly influenced by their religious leaders, including the Dalai Lama, the Panchen Lama, and many other tulkus in Tibetan Buddhism. By controlling Tibetan Buddhist leaders, China hopes to control the Tibetan people and make them more compliant. To that effect, China has installed its own Panchen Lama in the hopes he will be able to influence the opinions and actions of Tibetans. However, the overwhelming majorities of Tibetans do not recognize the Chinese candidate as the genuine Panchen Lama and he has little influence or respect among Tibetans. As mentioned above, China has passed regulations to control the recognition of tulkus. The CCP knows Tibetans respect the advice of their lamas on both spiritual and worldly affairs. By controlling Tibetan tulkus and lamas, China seeks to control and manage the Tibetan people. The few sentences in Hu Jintao’s speech to the 18th Party Congress regarding ethnic minorities demonstrate a “business as usual” approach regarding Tibetans and Uighurs. 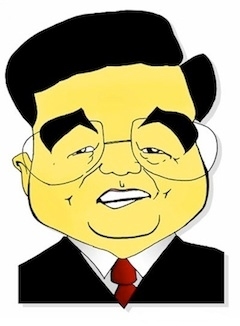 Although he is stepping down as Party chief, Hu Jintao would not have been allowed to publicly make this speech without pre-approval from all Politburo Standing Committee members, including Xi Jinping. Therefore, we do not expect any positive changes or genuine reforms regarding ethnic minorities by the new Xi Xinping administration. An additional key factor leading to a “business as usual” approach regarding Tibetans and Uyghurs is that Hu’s close ally, Ling Jihua, was recently installed as the new head of the United Front Work Group. In a stranger-than-fiction twist, Ling was demoted to this office after a botched cover-up following Ling’s son’s death in a Ferrari crash that also killed one Tibetan woman passenger and seriously injured another. Given Ling’s loyalty to Hu, it is expected that Ling will work to ensure that his patron’s “ethnicities” policy will remain in place at the United Front office. To the Chinese Government, unity, stability and the supremacy of the CCP trumps minority rights, human rights, and ethnic regional autonomy. China’s policies concerning ethnic minorities, especially towards Tibetans and Uighurs, have utterly failed. Rather than attempt to correct these mistakes, the Chinese Government seems determined to continue the status quo and increase repression of Tibetans and Uighurs who do not accept Chinese rule or refuse to comply with the CCP’s version of regional ethnic autonomy. Editor's NOTE-- The above article is initially written and published by Tibetan Political Review.